Robinson at the WonderCon in March 2013. CR: There’s nothing but love and trust there, so it was great. It was like being with friends, with people you already know. So, you have a sense of what makes each other tick and what makes each other laugh. Plus you bring along what youA’ve learned since last time. The familiarity was wonderful! KW: Larry Greenberg says: You mentioned sharing a special moment with Jessica Pare while shooting the original Hot Tub Time Machine, and that you enjoyed watching that scene over and over again. Did you have another memorable moment like that in Hot Tub Time Machine 2? CR: Yes, except this time it was with Rob Corddry. KW: Sangeetha Subramanian says: Craig, sequels can be great for reviving themes and running jokes from an original movie. 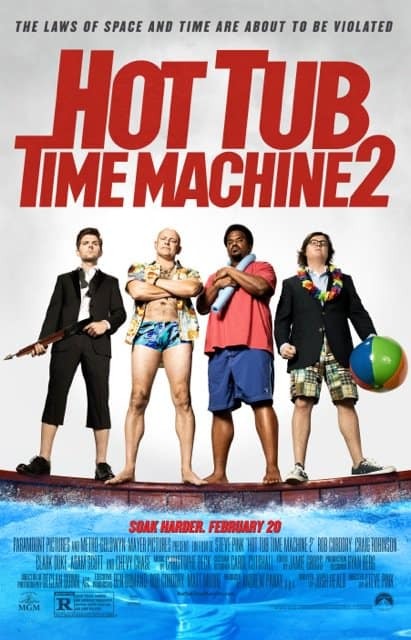 Was that the case with Hot Tub Time Machine 2, or does the sequel focus more on breaking new ground? CR: That’s a great question, Sangeetha. We definitely tip our hat to the original, but we also break new ground. It’s a marvelous mixture! KW: Harriet Pakula-Teweles asks: Did you worry about running the risk of being typecast by agreeing to do the sequel? CR: Not at all. I’ve been typecast already. [Chuckles] I was first typecast after playing a bouncer in Knocked Up. Right away, I had four or five offers to play another bouncer. 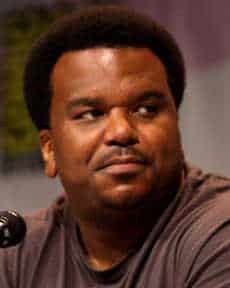 People kept saying, “Hey man, I got this role for you as a bouncer.” But in my mind, I was thinking, “Well, I’ve done that.” Then, when I was playing Darryl on The Office, some people started hating on me, saying I was best in small doses after a publication announced that I had landed a lead in a movie. So, I’m not going to worry about being typecast, I’m just going to continue doing what I do. KW: Eleanor Welski asks: What is your upcoming film Zeroville about? I see that it has a lot of the same cast as This Is the End. CR: Yeah, well Franco [James Franco] is directing that, so he called us in, and we were like, “Yeah, yeah, of course!” Once you’re familiar with someone’s track record, you know immediately whether or not you want to work with them. He has that kind of juice. I’m not aware of everyone else who’s in Zeroville, since I only had a couple of scenes. CR: Just today, flying on a plane to New Orleans with Steve [director Steve Pink], Josh, [scriptwriter Josh Heald] and Clark and Rob, we were all laughing really heard listening to Josh pitch some ideas he has for Hot Tub 3. KW: Yeah? I’d love to hear them. CR: Sorry, we don’t want to put the cart before the horse, so I can’t talk about that. KW: You made a pilot for a TV series called Mr. Robinson. When’s the show coming on? CR: We don’t have an air date yet, but we’ve already taped the premiere and the second episode in front of a live studio audience. We’re having a blast! I’s about me as a substitute music teacher whose first love is playing with my band. We use my actual band, The Nasty Delicious. And you get introduced to my childhood sweetheart from many, many, many years ago. She’s now a teacher at our old high school. I start subbing there just to be near her, but I fall in love with the school and I’m so good with the kids that I’m offered a permanent position. I take the job, and hijinks ensue. KW: Sounds good! CR: Speaking of good, Meagan Good’s my co-star. We’re very excited about that. KW: Speaking of jobs, what was your first job? CR: I’m a Scorpio. I’m very quiet. In real life, I’m usually observing the situation. But the red carpet’s a circus where you’re expected to be talkative, work the room and be larger than life. I’d be perfectly comfortable to just sit there and observe, and pick my moments, which is what makes improvising with ensembles so much fun for me. I prefer to be able to soak the scene all in before launching on you. CR: [Chuckles] I don’t really carry cash. Let’s see… my license… a valet ticket…a business card… and a credit card for incidentals. KW: Thanks again for the time, Craig, and best of luck with the film. CR: Hey, I appreciate it, Kam, and we’ll be in touch, man.